RJ Abernathy worked more than twenty years as a union construction laborer with Laborers' International Union of North America Local #100 in East Saint Louis, Illinois. RJ's father, uncles and many of his cousins work for and retired from Local 100. RJ is proud of the years he spent helping to build the infrastructure, industry and commercial development in the metro-east area. RJ knows firsthand the difficulties working men and women face in the construction industry, both past and present. He has witnessed the toll construction workers endured in his own family. RJ lost both his father and uncle to asbestos related cancers. His father died of asbestos related lung cancer and his uncle from mesothelioma. They were both exposed to asbestos while working in the factories, plants and mills in and around St. Clair and Madison counties in Illinois. RJ decided to enter law school to use his knowledge of the dangers of the construction industry to help who were similarly affected. RJ is extremely proud of his union heritage and continued membership in Local 100. He frequently mentions his appreciation for the help of his fellow union brothers and sisters before and during his time in law school. RJ graduated from Southern Illinois University at Edwardsville with a B.S. in History and a minor in Political Science. His Juris Doctor was earned at the University of Missouri-Kansas City. While in law school, he served as a teaching assistant in the School of Law's academic enrichment program. He also clerked for Legal Aid of Western Missouri as well as a prominent labor lawyer in Belleville, Illinois. 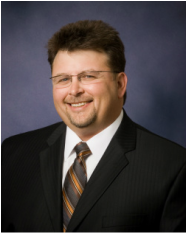 RJ Abernathy has served on the Fairview Heights Zoning Board of Appeals since 2003. He is also a former president of the Fairview Heights Khoury League youth baseball and softball league. During his years as an active Laborer, RJ served as a delegate to the Southwestern Illinois Building and Construction Trades Council for nearly 9 years. If you have been injured on the job or believe you may have an asbestos related disease, please contact RJ Abernathy at 618-235-0020 or by email at rjabernathy@abernathyfirm.com.